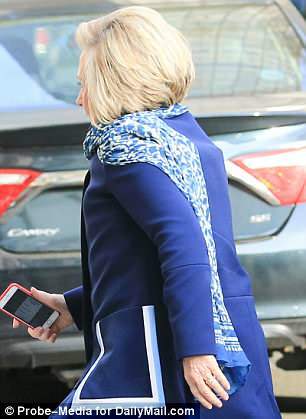 Is Hillary Clinton wearing a back brace? Pictures are from last week. Bullet-proof vests are barely visible. None stick out in the back of the neck like Hillary's.